EPA and the Department of the Army (Army) announced they will hold a public hearing on the proposed new “Waters of the United States” (WOTUS) definition in Kansas City, Kansas, on February 27-28. In addition to the public hearing, an informational webcast will be held on February 14 to explain key elements of the proposed WOTUS rule. 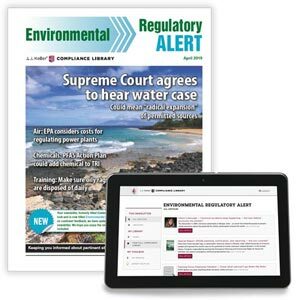 On December 11, 2018, EPA and the Army signed a proposed rule on the definition of “waters of the United States,” and have submitted it to the Office of the Federal Register for publication. The agencies will take comments on the proposal for 60 days after its publication in the Federal Register. Comments can be submitted online at www.regulations.gov using Docket ID No. EPA-HQ-OW-2018-0149. More information about the public hearing, informational webcast, and the proposed rulemaking, including the pre-publication version of the Federal Register notice, are available at www.epa.gov/wotus-rule/step-two-revise.